Lately, I’ve been busy playing a lot of Hearts of Iron 4 and Stellaris, as both were day-1 releases on Linux. I spoke with Gustav Palmqvist, a PDS developer who helped make those releases happen on our platform of choice. Paradox Development Studios is a Swedish developer best known for its grand strategy series like Europa Universalis and Hearts of Irons. They’re distinct to Paradox Interactive, their publisher, who has also published numerous games on Linux, including Magicka 2, Cities: Skylines and Pillars of Eternity. I’ve been a longtime fan of both PDS and PI, having played likely thousands of hours across their various titles over the years. Not only can their games be dangerously addictive, but anyone who has ever been on their forums or read an in-game event can tell you that they have good sense of humor to boot. The interview below has been edited for formatting and clarity. GOL: If you don't mind, let's start with a little bit of background. Please tell us a little bit about yourself and what you do at Paradox Development Studio. Gustav: My name is Gustav Palmqvist (Guraan on the PI forums) and I have worked at PDS for about 3, almost 4 years on various projects (in different degrees) as MotE, EU4, CK2 and HoI4. Got a long experience of Linux and for the last years I have been exclusively the dedicated Linux and Multiplayer programmer on HoI4. GOL: How well is Linux represented within PDS? Any developers use it outside of work? Naturally, you've tried to convert them right? That's only partially a joke. Gustav: PDS strive for having at least one programmer on the different platforms per team so we are a minority if you compare with Windows developers. We are a few (me included) developers that use Linux outside work and we are kinda low when it comes to shout os-propaganda at the office, myself I usually refer to “the superior operating system” whenever I can and dress in my Slackware t-shirts at least 3 days a week/month lol. But then I am a bit extreme (got some nice FSF stickers around my desk as well). GOL: Recently a developer diary showed off what seemed to be screenshots taken from Ubuntu. What sort of tools and environments do you use to code and test for Linux development? Gustav: Yes, those screens (I believe it was the first “modding” dev diary) was from my workstation. Since Ubuntu 14.04 LTS is the only current Linux dist hoi4 “officially” support this is the system we are are primarily using at work both for testing and developing. But other than that we are allowed to try new stuff out as long as the license agrees to it. GOL: When you guys code do you take into account cross-platform necessities? Or do you first code and then port to Linux? Gustav: We try to develop in parallel, but this is up to the project. In my case I am exclusively developing in Linux but other projects may differ and dual/multi-boot. I think that the diversity of multiple systems/compilers validating the code makes it better and more robust. GOL: It's sometimes difficult for developers to get performance parity between OpenGL and Direct3D and some of these issues are due to the quality of drivers. Have you guys worked with AMD, Nvidia, and the Mesa project to help sort out issues in Linux drivers? Gustav: We always try to relay driver related problems experienced in our products to the developers responsible for the drivers but currently we do not have the resources to actively submit proposals for even minor bugs fixes in open source drivers. 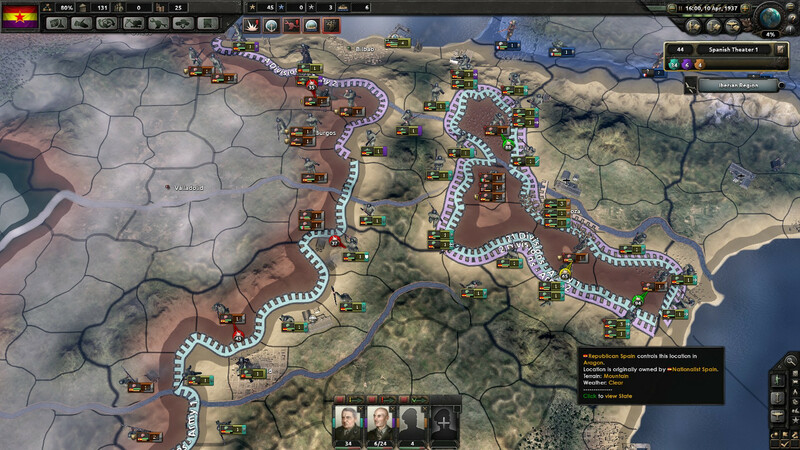 GOL: PDS has vastly improved its QA over its last couple of years, the difference between the troubled HoI III launch and EU IV's smooth release are like night and day. That said, there are occasional Linux-only bugs and things like cross-platform multiplayer can still be tricky. Does PDS have its own dedicated Linux QA testers or do you depend on the community to catch these nasty bugs? Gustav: Well to be honest, our non-windows QA is still kinda new on stuff so this is a work in progress. We will still be very dependent on input/reports from our users, but hopefully we will be able to release games more painlessly than before. Cross-platform issues in MP will always be there (as any OOS), but I think we have gone a great length in our work to minimize this. GOL: I understand Paradox does regular intra-office multiplayer sessions for their titles. Does that help track down platform-specific issues? I hope you at least beat Johan [Executive VP Game Development] and Martin [AI Lead] regularly. Gustav: Yes, we try to play a longer mp session at least once a week when all involved in a specific project are “required” to play. This helps addressing the seriousness of cross-platform issues but it does not cover it all. Podcat is usually too easy to beat (lmao), Johan and Wiz and I have not played since they have it mostly full with EU4/Stellaris. Best players is still in QA or betas, we programmers just do not stand a chance (if we do not know about any juicy exploit). GOL: As longtime Microsoft Windows developers prior to Crusader Kings II, how long did it [take] PDS to get used to the idea of internal multiplatform development? Was doing that initial port straightforward or did you have a hard time? Previous OSX ports were handled by Virtual Programming, weren't they? Gustav: Have not gotten any information about this so i honestly do not know, It was ported in 2012 when I began working. But yes previous OSX ports where from Virtual Programming. GOL: Have the lessons you've learned as a studio over these past few years since you started writing multiplatform code helped with newer projects? Can we expect to see improved performance in future expansions and titles? Gustav: We have learned that the more platforms you develop to, the better the code eventually gets. Right now our OpenGL performance is a bit slower than for DX, but when it comes to our own products graphics is never the bottleneck. 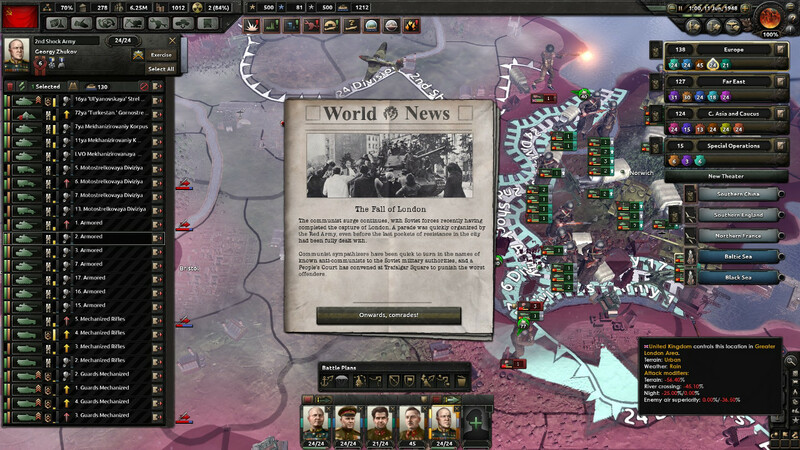 Multi-threading issues will depend from project to project as it is right now, but running “top” besides hoi4 right now during loading makes me kinda happy how we do it. GOL: Has the Steam Controller and the push for couch-capable gaming affected the UI and design of your games? One the bones I have to pick with PDS games is the lack of UI scaling that often makes it hard to see properly on large monitors or on higher resolutions. We are also replacing the old system with a more flexible one for both scripting and viewing, cannot say as it is right now what game will be the first with this. GOL: What are your thoughts on Vulkan? Have you considered updating Clausewitz in the future to support this new API? Gustav: Vulkan is what the major gfx API should have been 10 years ago… We love it, but we do not need it as it is right now. Clausewitz has as it is right now, an unlimited opportunity for graphical backends. Right now as primary we require DX9 or OGL2.1:isch when it comes to gfx, but what is more important for PDS games is a fast cpu and as much ram as is tolerated. Our games does a lot of simulation in the background and not so much gfx work. GOL: Performance during late game for some of your titles can be troublesome, could we expect to see meaningful improvements with Vulkan? Or are optimizations dependant on other factors? Gustav: Yeah unfortunately the late game is more about CPU, than RAM and finally it is GFX, we are always trying to optimize these things but it is a bit of a Sisyphus scenario. But rest assured, we will push that boulder up, up and up again. GOL: How about a transition to 64-bit versions of your games? In my experience performance gets patchy with the more ambitious mods because of memory limitations. Gustav: This is a flamewar discussion lol, filling your game a lot of additional content will make performace go weak. Take hoi4 for example, the game will not run faster because it is 64bit out of the box compiled, so i sincerely believe that capping at the 4gb barrier will make moders to review their mods and optimize gonna make their additions greater. GOL: Changing tack for a bit, I heard Colossal Order had a healthy number of Linux sales for Cities: Skylines. How well do PDS games generally do in terms of Linux sales? Gustav: Sensitive topic… Windows is the major platform by far right now. On the other hand we just get the numbers from the platform you have bought it from. PDS releases usually gives you the game on all supported platforms and not just the one you bought it from. In general Win > OSX > Linux, lets change it! GOL: Any chance on getting some of your older Clausewitz games such as Victoria II, Sengoku and March of the Eagles on Linux? If not, when are you going to announce Victoria III or Rome II? Tux gamers deserve to enjoy those franchises too! Gustav: No, Victoria II, Sengoku and mote is running a too old version of Clausewitz for us to make a good port. GOL: Finally, I'll end with the hardest question of them all: what's your favorite PDS franchise or specific game? GOL: Thank you very much for your time and your responses. As a longtime fan of the games made by Paradox it's been exciting to see my favorite franchises come to Linux. I've noticed I'm not the only one either - both your forums and elsewhere have plenty of Linux users talking about your games now. Hopefully we'll continue to see PDS games come to Linux in the future. Gustav: Do not stop gaming on Linux just because your favourite title is released Win/OSX, in the future all platform releases will be at the same time! Oh another Slackware user . Quote As longtime Microsoft Windows developers prior to Crusader Kings II, how long did it PDS to get used to the idea of internal multiplatform development? I don't really your question. Paradox is one of my favorite developers. In fact, my top three in no particular order are Valve, Feral, and Paradox. They've done great things for our favorite OS. Definitely. I'm currently playing Stellaris and looking to pick up HoI4. Very supportive dev when it comes to our platform. Actually, let me rephrase that. The proper platform should always have been open. So it's everyone's platform. Thanks for the great interview. It's always interesting to read how game developers doing their Linux ports. rkfg I don't really your question. I've got over 600 hours in EU IV, and I think the only Linux-specific bug out of the handful I've reported was the graphics issue with coastlines looking bad half-a-dozen major versions ago. I only got interested in PDS games with EU IV, right before the point I seriously decided to switch from Windows to Linux, so while my purchase might have counted as a Windows sale I've played >99% of my time on Linux.